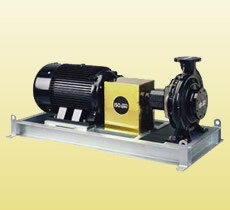 The CF series (centrifugal flow) is a bareshaft pump which can be coupled to an electric or diesel drive. 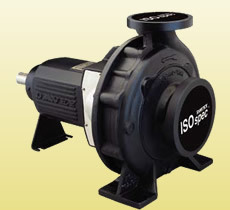 Davey offers ISOspec® CF bareshaft pumps long coupled to an electric motor using spacer coupling. This allows for pump maintenance and removal of rotating components without the time consuming task of removing and refitting pipe connections or motor re-alignment. 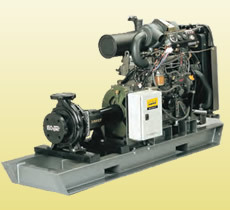 An ISOspec® CF pump can be coupled to a diesel engine for applications where no electricity supply is available, or where non-electric back-up is required. Davey diesel pump sets come fully assembled with CF pump, diesel engine and a standard control panel, all mounted on a sturdy steel base.